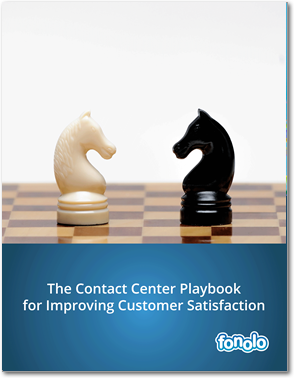 In this handy playbook, contact center leaders will learn the ins and outs of improving customer satisfaction, otherwise known as CSat. This guide will discuss important metrics to consider when measuring satisfaction, and how to achieve customer happiness and retention along the way. How Do CSat, NPS and CES Work Together? While both CSAT and NPS are measurements of customer sentiment, they have very different functions. NPS has a standardized process and measurement trademarked, while CSat is a more general concept. The second divergence is in what the two metrics measure. NPS is typically said to be a measurement of customer loyalty to a brand. By contrast, CSat scores are strictly a measurement of customer happiness. When comparing the NPS and CES score, research shows that these scores correlate with one another: customers who indicate they have to make little effort to fix a problem, also tend to give a high NPS. However, it is still worth using both measurements together. NPS gives you a picture of your overall customer satisfaction and retention, while CES specifically indicates how you perform in handling customer issues. The bottom-line: While CSat tells you how happy customers are, NPS measures customer loyalty, and CES helps you understand where grievances lie. Not all happy customers are loyal, and not all loyal customers are happy. Therefore, CSat, NPS, and CES are best used together to achieve an accurate understanding of your customers and predict long-term business needs. Contact center managers have a plethora of metrics to choose from, as well as key performance indicators (KPIs). With proper benchmarking, you can determine just how well your contact center stacks up against your competition. There are a few organizations that provide year-round reports with benchmarks and metrics to follow for the contact center space, including ContactBabel, Dimension Data, and Benchmark Portal. Be sure to familiarize yourself with these reports so that your center has a goal to focus on. Once you have a best practice set, your center can set internal benchmarks to improve on month-after-month. Tracking First Call Resolution (FCR) ensures that you are satisfying customers in the shortest amount of time, without the need for any follow-up. Average Wait Time (AWT) tracks how long it takes for customers to connect with an agent who can address their needs. Abandonment Rate measures how long a customer will wait on hold before hanging up. A high call abandonment rate is a sign of caller frustration, so if this is an issue, make sure you consider a call-back solution. Asking for feedback is nothing new, but many organizations still aren’t making the most out of their customer surveys. Before you begin collecting feedback from customers, you need to make sure you have clearly defined goals. If you don’t understand the objective at hand, it’s difficult to use the data in a meaningful way. Once the objective is clear, the next obstacle is finding the right time to ask for feedback. Experts say the best time to collect feedback is shortly after a customer interaction, since you’ll get the most from a customer when the information is fresh in their mind. At the same time, if your customer is new to your product/service you may need to give them more time. Try placing your customers in segments and executing your survey strategy as it applies to each group. The final obstacle is testing! For every customer complaint there are 26 other unhappy customers who have remained silent, so make sure you test different times, languages, survey lengths, etc. Even consider testing a survey with a giveaway – maybe this will generate more quantity (just keep in mind that quality can be a concern in this case). If people are completing a questionnaire just to receive the gift, you can bet that their answers won’t be a true reflection of their experience. In any event, test, test, test, and determine what works best for your organization. 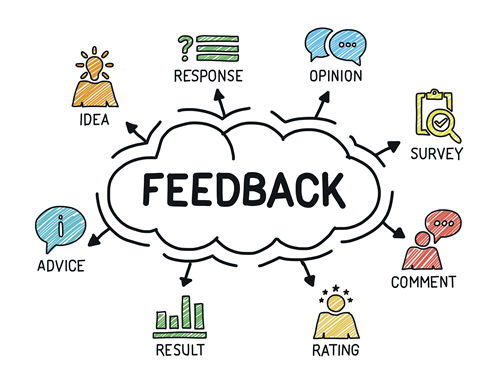 Looking to organizations that specialize in customer feedback is another great way of overcoming these obstacles. Check out SQM group, the contact center industry leader for measuring, benchmarking, and improving CX. SQM offers five customer surveying methods (phone, email, IVR, online and face-to-face) that provide valuable insights for customers. Let’s dive more into customer effort. Customer Effort was first mentioned in the October 2010 Harvard Business Review article “Stop Trying to Delight Your Customers”. 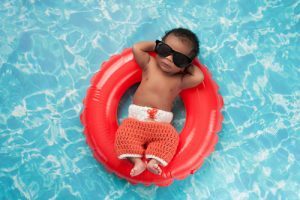 Although CSat and NPS are great measures of customer loyalty, they fail to address the overall customer experience, specifically the effort put forth by a consumer. In order to manage this aspect of the customer experience, it’s best for companies to develop a program that measures effort, and identifies points of friction so those fail points can be improved. Simply put, processes and procedures that lead to greater customer effort must be streamlined. All of these can add to customer effort and therefore make the customer experience less enjoyable. When done correctly, surveys can help to establish those points of friction. Then, using customer journey mapping, you can illustrate a customer’s interaction with your business and identify the key actions required to complete a task, along with the effort used. The tasks with the most effort should be streamlined. Don’t miss the last 3 tips! Download the full report below. Outstanding customer service ideas - not just for the contact center, but for all types of businesses!